I’d never been before to Burwarton Show in Shropshire until today & when I arrived at 7h15 (rather early !) ready for show jumping classes with our 3 daughters, I realised why it is one of the UK’s premier agricultural shows. The diversity of classes is huge & its a real celebration of everything relating to the countryside, livestock & farming. Ivor Richards received a long service award in the main arena for his work on the farms over 36 years for the Apley Estate. I blogged him on 17 Feb this year. Apley Farm Shop’s stand in the Food Hall area was very busy & sold out. After the show, got on with finalising the Third Apley Archive Exhibition, which will be launched on Wednesday 27 August, 6-7.30pm in The Creamery Café at Apley Farm Shop. It’s free & open to all. Like the first 2 exhibitions, it’ll run for approximately 3 months to mid November. I may hold a 4th exhibition for which I already have enough material, but by November, an Apley Archives website may take over. 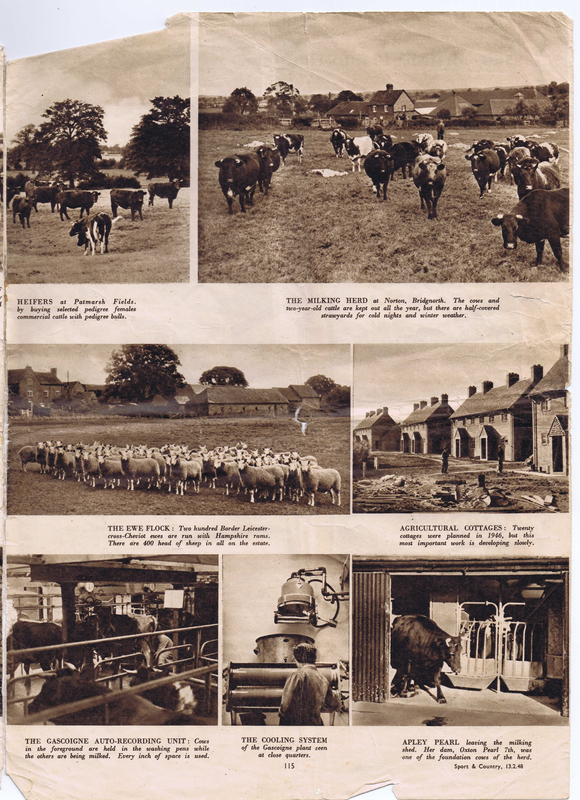 Whilst sorting through some images brought along & scanned during the launch of the last exhibition, I found these pages from a 1948 copy of Sport & Country (now Country Life), belonging to Tony Scott of Scotty’s Donkeys. They include photos taken at Stockton Buildings, where Apley Farm Shop is now sited ! 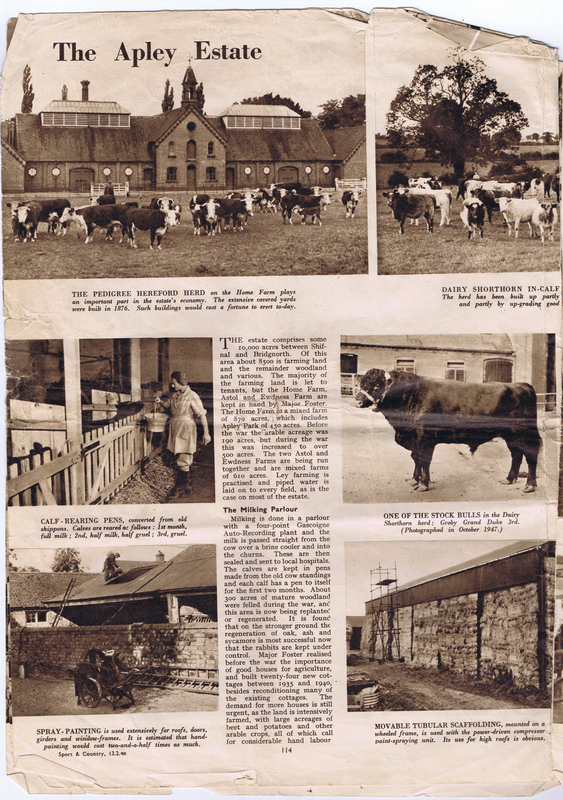 The bottom left photo on page 115 is the building in the centre of Apley Farm Shop’s courtyard, which now houses Lottie’s [fashion].